Hello traveler and welcome to the Sun & Moon blog! Here we will share exciting goings on in the studio and also any animation-y type thoughts that occur to us along the way. We hope to help, celebrate and educate! Here we are on our 8th birthday, raising a glass to Sun & Moon. 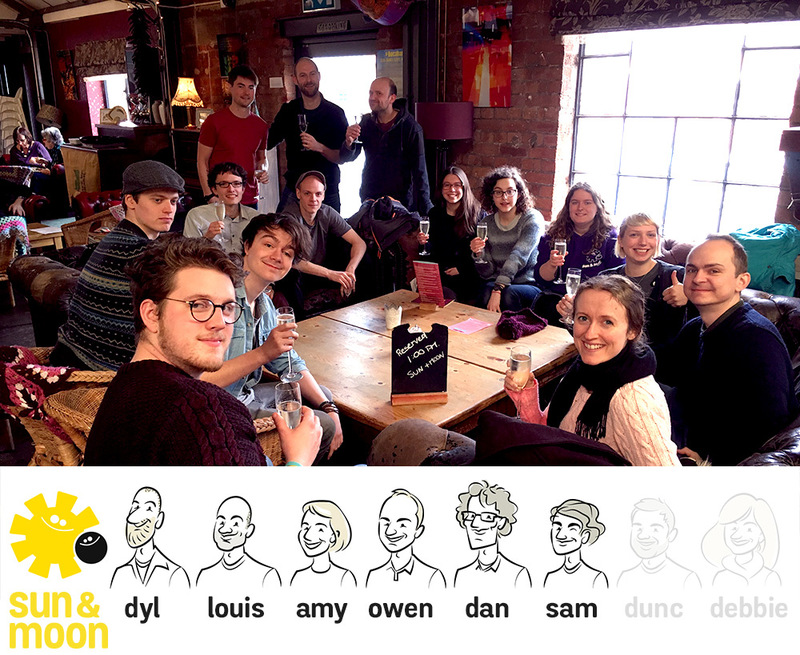 We’re surrounded by some of our fantastically talented and much loved freelancers so see if you can pick us out! Phew! That was a fun first post!! Now on with the blog.